“I feel so absent minded …” Experience the magic of one of the most popular films ever made. 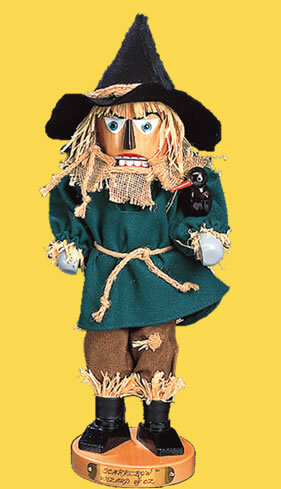 Follow this whimsical character down the yellow brick road as Steinbach introduced this Scarecrow nutcracker in 1999. The Scarecrow Nutcracker (ES0961) is a beloved character in a film that never ceases to capture our hearts. The Scarecrow was the first edition to the Steinbach Wizard of Oz Nutcracker Series. With his adorable straw hat and tattered clothes, the Scarecrow nutcracker will always bring a smile to your face. “Ya gotta have heart” The magical feeling inspired by the classic film the Wizard of Oz continues to delight and attract viewers every year. In 2000 “Oz” fever reached the Steinbach factory again with the release of the Tin Man (ES960). 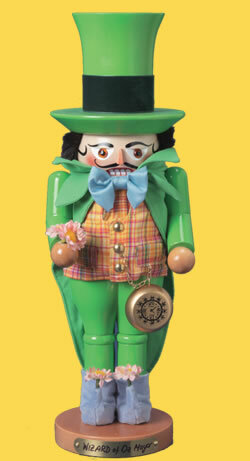 This nutcracker is the second in the Steinbach Wizard of Oz Nutcracker Series. “… I’m still scared” The magic and mystery continued in 2001 with the debut of the Cowardly Lion Nutcracker (ES1805). The Cowardly Lion stole our hearts with his trembling roar and his generous heart. This nutcracker is wearing a long glittering green robe, quite fit for his journey to the Emerald City and the badge of courage he so deeply desired. The Cowardly Lion stands 18 inches tall. 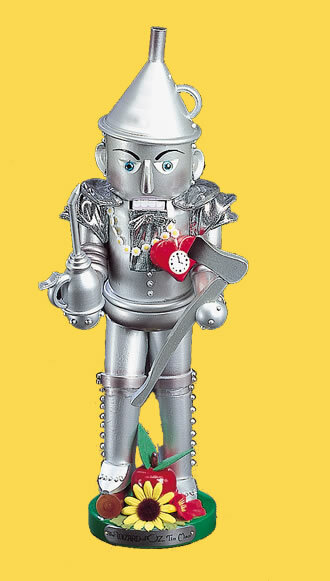 This nutcracker is the third in the Steinbach Wizard of Oz Nutcracker Series. 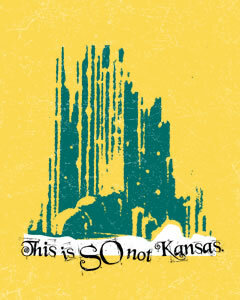 “Okay… this is SO not Kansas” What would this magical series be without Dorothy? 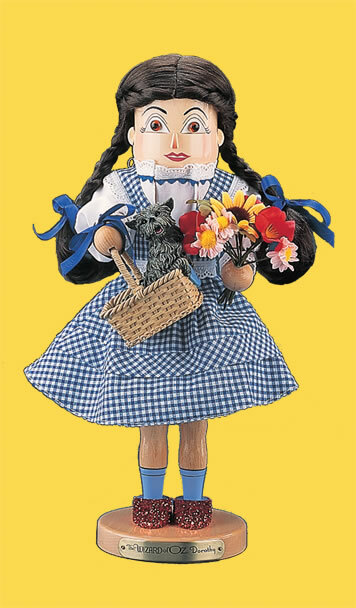 In 2002 the Steinbach Wizard of Oz Nutcracker Series continued with the adorable Dorothy Nutcracker (ES1806). This nutcracker is wearing a blue and white check dress complete with the ruby slippers the evil Wicked Witch wanted so badly. In her hand she holds a small basket complete with her dog, Toto. 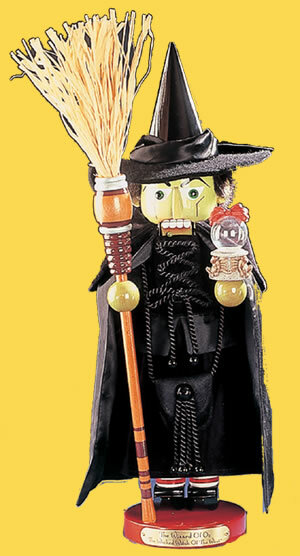 “I’ll get you, my pretty, and your little dog too” In 2003 Steinbach introduced the character we all love to hate the Wicked Witch of the West Nutcracker (ES1807) into the Steinbach Wizard of Oz Nutcracker Series. The Wicked Witch got into a fight with a little girl over a pair of ruby slippers and in the end was melted by a bucket of water. Her powerful words of “Surrender Dorothy” will echo in our minds for years to come. “Pay no attention to the man behind the curtain” At a height of 18 inches The Wizard Nutcracker (ES1808) is ready for his and Dorothy’s journey home but he is whisked away in his balloon before Dorothy can hop aboard. This nutcracker is dressed head to toe in dark green with a shinny green vest. In his one hand he holds the hot air balloon from the State Fair and in the other a staff. Next to his foot is a bag filled with the gifts he gives to the Lion, Tin Man and Scarecrow. 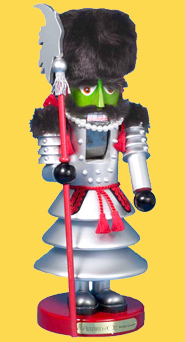 This nutcracker is the sixth in the Steinbach Wizard of Oz Nutcracker Series. 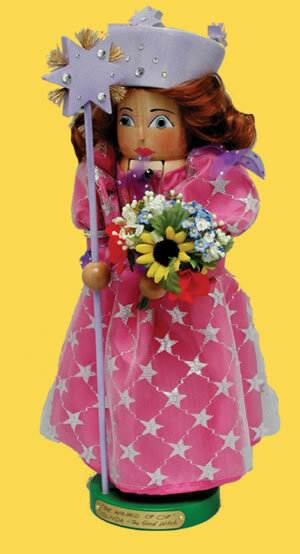 “Are you a good witch or a bad witch?” It is Glinda the Good Witch Nutcracker (ES1809) that presents Dorothy with her ruby slippers and teaches the important lesson “there is no place like home.” Steinbach’s red haired nutcracker was introduced in 2005 and stands 8 ½ inches tall. Glinda the Good Witch is dressed in pink overlaid with star-flecked silver tulle. Her lavender crown and wand are decorated with crystals and she carries a bright bouquet of wild flowers. 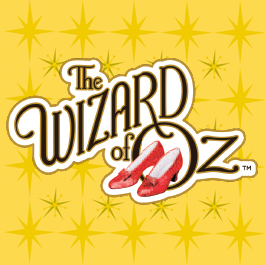 Glinda reminds each of us the magical power of imagination, dreams and wishes. 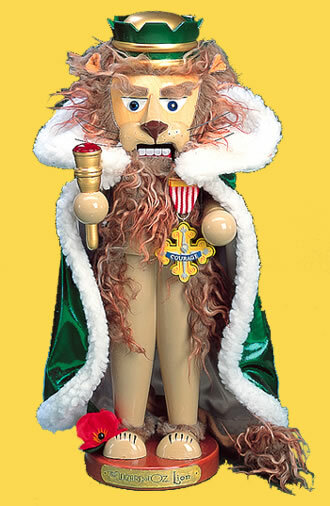 This nutcracker is the seventh in the Steinbach Wizard of Oz Nutcracker Series. 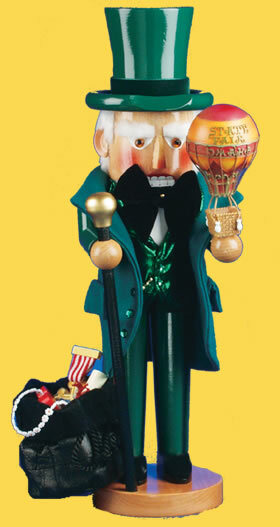 In 2006 Steinbach introduced the Mayor of Emerald City Nutcracker (ES1893) into the Steinbach Wizard of Oz Nutcracker Series. This nutcracker is dazzling from head to toe in green. In one hand he holds a bouquet of flowers and a golden pocket watch hanging from his vest. He is sure to impress anyone who enters your home. The Winkie Guard (ES1894) joined the Steinbach Wizard of Oz Nutcracker Series in 2007. The Guard’s hat and shoulders are covered in fur and two red leaf-like flaps fall from the waist of his silver uniform. This nutcracker holds a lethal staff in his right hand to thwart any enemy of the Wicked Witch of the West. In 2009 Steinbach proudly introduced the Munchkin Soldier (ES1896) Nutcracker into the Steinbach Wizard of Oz Nutcracker Series. 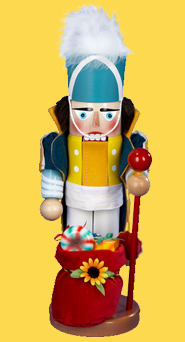 This nutcracker is brightly dressed in yellow and blue tones. The Munchkin Soldier is also signed by Karla Steinbach (ES1896SIG). "...And in the name of the Lollipop Guild, We wish to welcome you to Munchkin Land." 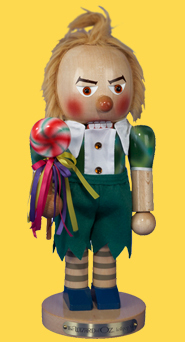 Steinbach introduced the Lollipop Munchkin (ES1892) in 2010 into the Steinbach Wizard of Oz Nutcracker Series. Dressed in green shorts and a green shirt with white lapel, this nutcracker is the perfect addition to any Wizard of Oz collection. “Professor Marvel never guesses – he knows!” Professor Marvel is the mysterious traveling fortuneteller that Dorothy meets in Kansas. He is described as a bumbling "humbug." 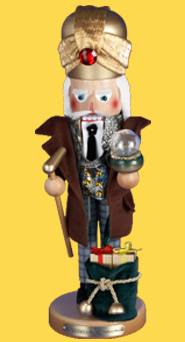 Introduced in 2011 the Professor Marvel (ES1813) nutcracker is a great addition to the Steinbach Wizard of Oz Nutcracker Series.